Ken Germain has more than 45 years of varied experience in the trademark/unfair competition field and is a former full-time law professor. He focuses his practice on trademark counseling, consulting and litigation, including Early Neutral Evaluation. Ken is often retained as an expert witness on issues relating to trademarks and unfair competition, working on cases involving some of the nation’s largest companies in high-stakes, cutting-edge cases. He has testified in court over 15 times. Ken has been an active speaker on trademark and unfair competition, lecturing at national, regional and local conferences over 280 times. In addition, in 1990 Ken founded, and until 2014 chaired, the All Ohio Annual Institute On Intellectual Property seminar. This seminar is in its 27th year, provides two-city programming (Cincinnati, Cleveland) covering all aspects of IP, and is the largest (over 300 attendees per city), oldest, full-day IP CLE program in and around Ohio. Ken served as an Adjunct Professor at the University of Cincinnati College of Law for many years, teaching trademark/unfair competition courses. Later, Ken served as the Distinguished Professorial Practitioner in the University of Dayton Law School’s Program in Law and Technology. 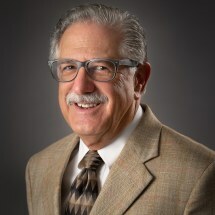 Still later, after serving as the Distinguished Senior Fellow in connection with the Law + Informatics program of the NKU Chase School of Law, Ken resumed his position at the University of Dayton. Lawyers Who Need Lawyers: When to Retain a Legal Expert in a Trademark/Unfair Competition Case, CorporateIntelligence.com. The Brave New World of Possibly Preclusive TTAB Proceedings: How Expert Testimony Can Strengthen Your Case, 90 Patent,, Trademark & Copyright Journal 2104, May 22, 2015. Torts Über Trademarks or Trademarks Über Torts: That is the Question, 90 Patent, Trademark & Copyright Journal 3211, September 9, 2015, republished as Should Uber Face Tort Liability for Rides Secured Through Uber Apps? 43 Product Safety and Liability Reporter 1237, October 26, 2015. “Why the Eighth and Tenth Circuits Should NOT Follow Other Circuits in Extending the Supreme Court’s eBay v. MercExchange Destruction of the Presumption of Irreparable Harm in Patent Cases to Trademark Cases – and What to Do If the Eighth or Tenth Circuit Makes This Same Mistake”, 2015 Midwest Intellectual Property Institute, Overland Park, Kansas, May 15, 2015. “2014-2015 Supreme Court and Circuit Court Cases on Trademarks and Unfair Competition”, 25th All Ohio Annual Institute On Intellectual Property [AOAIOIP], sponsored by the Cincinnati Bar Association and the Cleveland Intellectual Property Law Association, Cincinnati, Ohio, October 7, 2015. “Recent case summaries regarding The Changing Face of Trademark Protection: Incipient Issues Regarding Product Design Trade Dress”, INTA Leadership Meeting, Panama City, Panama, November 19, 2015. “Supreme Court and Circuit Court Cases on Trademarks and Unfair Competition: 2015 in Review”, ALI-CLE Teleseminar entitled Trademarks, Trade Dress and False Advertising: Recent Developments for Business and IP Lawyers, December 8, 2015. “Is Friday the 13th an Unlucky Day for Uber and airbnb? Tort Liability for Trademark Licensors in the Sharing Economy”, Dayton Intellectual Property Law Association, Dayton, Ohio, May 13, 2016. “2015-2016 Supreme Court and Circuit Court Cases on Trademarks and Unfair Competition”, 26th All Ohio Annual Institute On Intellectual Property [AOAIOIP], sponsored by the Cincinnati Bar Association and the Cleveland Intellectual Property Law Association, Cleveland, Ohio, September 21, 2016. “2015-2016 Supreme Court and Circuit Court Cases on Trademarks and Unfair Competition”, 26th All Ohio Annual Institute On Intellectual Property [AOAIOIP], sponsored by the Cincinnati Bar Association and the Cleveland Intellectual Property Law Association, Cincinnati, Ohio, September 22, 2016. “Functionality and Confusing Similarity Regarding Product Design Trade Dress: Getting to/Getting Over Groeneveld”, Baker & Hostetler, Washington, D.C., December 2, 2013. “Fraud on The PTO: Two Specific Situations”, Board of Advisors of Bloomberg BNA’s Patent, Trademark & Copyright Journal, Arlington, Virginia, December 3, 2013. “Climbing Onto Multiple Branches of IP Protection (for Product Design Trade Dress) Will Leave You Hanging – Without Constitutional Support!”, Oblon, Spivak, McClelland, Maier & Neustadt, L.L.P, Alexandria, Virginia, December 3, 2013. “Torts Über Trademarks or Trademarks Über Torts: That is the Question”, Board of Advisors of Bloomberg BNA’s Patent, Trademark & Copyright Journal, Arlington, Virginia, September 16, 2015. “B&B Bonanza; Bobrick Bugaboo”, Jones Day, Washington, D.C., September 17, 2015.